The Salish Sea Ecosystem Conference (http://www.wwu.edu/salishseaconference/index.shtml) April 13-15, in Vancouver is the largest most comprehensive event of its kind in the region. 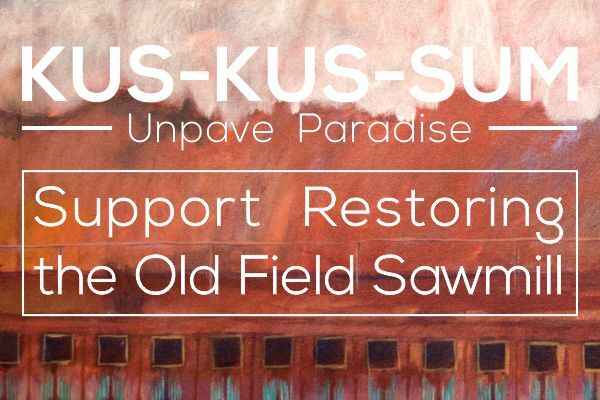 The purpose of the conference is to assemble scientists, First Nations and tribal government representatives, resource managers, community/business leaders, policy makers, educators and students to present the latest scientific research on the state of the ecosystem, and to guide future actions for protecting and restoring the Salish Sea Ecosystem. “There are usually over 1000 participants from all over the Pacific Northwest” comments Dan Bowen, Project Watershed Director. Angela Spooner – Five Years of Eelgrass Habitat Restoration in the K’omoks Estuary. In addition to these oral presentations, Project Watershed will present two posters on aspects of our kelp restoration and blue carbon work. This will take place on April 14th. On Friday, April 15th, the Society’s Blue Carbon team will facilitate a Blue Carbon Workshop for the conference participants. The Discussion leaders include Paul Horgen, Board Chair, Christine Hodgson, retired NIC Biologist, Angela Spooner M.Sc. Royal Roads University, Royann Petrell, Professor Emeritus UBC, and Will Hintz, Professor Biological Sciences, University of Victoria. We will present ideas and results regarding mapping, core sediment sampling and carbon analysis, a new and exciting observation on shoreline burial of eelgrass, and a very sensitive new DNA forensic approaches to monitor where the eelgrass detritus is found. “This is a huge opportunity for our organization to talk about our stewardship of the estuary and our cutting edge work on blue carbon” suggests Paul Horgen, Board Chair. 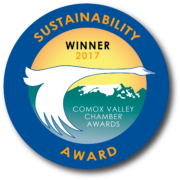 Project Watershed’s mission is to promote community stewardship of Comox Valley Watersheds through education, information and action. To contribute to projects like these please support the work of Project Watershed.